Here the student will learn the basics. 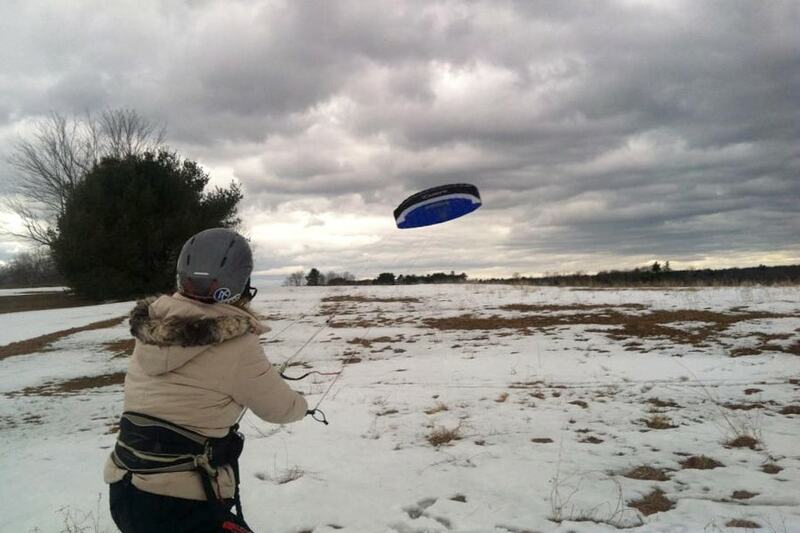 The process of how to use a kite safely and effectively for Snow Kiting will be the focus. IMCS will show you how to walk through the steps of how to choose a site suitable for snow kiting, what kites are used as well as interpreting all the parts of the kite, how weather affects snow kiting and use as well as simple self rescue techniques to name a few possibilities. When the student leaves the Discovery course, the student will understand how exciting kite flying on the snow can be and will truly start to see the wonderful possibilities that snow kiting can bring to the winter recreation theatre. *These rates apply to all groups of 4 people or less. For larger group rates, please contact us. All IMCS kiting programs include all equipment for kiting, including kites and harnesses. Students will need to provide skis or snowboard, helmet, suitable outdoor clothing, and food. On overnight programs, food and over night equipment (sleeping bags and tents) are provided. Technical clothing and equipment is available to rent from IMCS.